This is the key element of the program. We need to get rid of the situation where the rights to take any kind of decision are usurped by a small group of people close to the president. There currently is a huge disbalance in the distribution of power: executive and judicial power have become appendages of the presidential vertical and meekly fulfill its will. One of the reasons why this became possible is because executive authorities have put the elections under their control: they limit access to them of unfavorable parties and candidates, interferes with opposition's agitation and access to mass media, falsifies voting results. To transfer from a super-presidential to a presidential-parliamentary republic. For that, we need to limit some of the presidential powers, for instance, his right to dissolve the Duma, return to 4-year presidential terms and limit their amount to two, no matter if they are consecutive or not. To extend the parliament's rights after re-electing it at fair elections and returning the 4-year term. 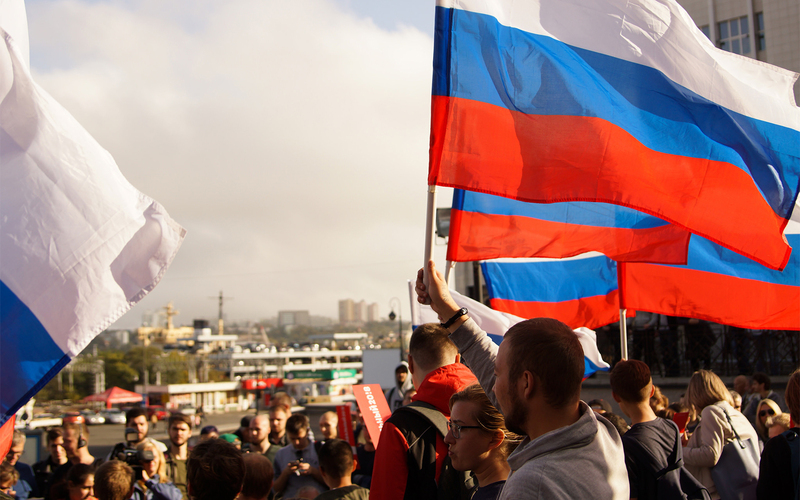 To remove unconstitutional artificial limitations on registration of political parties and conduction of rallies, extend the access of parties and citizens to elections (by abolishing various «filters») and decrease the Duma barrier to 3%. To extend the rights of Duma and regional assemblies to conduct referendums and citizen polls («direct democracy»). To make Federation Council an actually working institution whose members are elected by popular vote. To extend the rights of parliament and Federation Council in terms of control over executive authorities, including initiation of investigations of highest officials. Investigations will be conducted by an independent prosecutor appointed by the Federation Council. Access of citizens to truthful and objective information, a variety of competing points of view is a key element of people's power. Fight against corruption and social justice are impossible while the mass media aren't free. Government's efforts must be concentrated on creating conditions that would not allow censorship or monopolization of access to information. Lustration — prohibition against assuming public posts, working at government agencies or in certain fields for people involved in violating human rights and freedoms, using state authority for lucrative purposes, falsification of justice, preventing expression of civic will and political activities, assisting corruption — is an important step towards building a law-governed state. In the history of our country, there were many episodes when people who assumed public posts were acting not in the interests of the state, but in the interests of specific individuals and groups. Their actions did not receive any legal assessment afterwards, nor did these people bear any responsibility. I support lustration and will work on forming a majority in the parliament that would accept the lustration law. Lustration must confirm in the public consciousness the principle that employees of law enforcement and government agencies, judicial system and mass media serve the interests of the society, the state and the law, and not the interests of some specific «boss». For that, we need to identify the set of people whose actions have done significant damage to the public interests, were in clear contradiction to the constitutional principles, principles of right, violated human rights and freedoms and personal ethics. Lustration is a mild form of community punishment, but it does not mean exemption from criminal responsibility for those who directly violated the Criminal Code. To conduct lustration, we suggest to introduce the lustration law and create a lustration commission from representatives of executive and legislative power, as well as non-governmental organizations. Among the activities of the Commission should also be the work on «cleansing the legislation» — abolishing the infamous laws of openly repressive nature that contradict the spirit and letter of the constitution and do significant harm to the civic society. The main area of activities of the commission must be investigating the recently revived practice of political repressions and legislative norms that aided its revival, as well as determining the victims of repressions and individuals responsible for their organization.